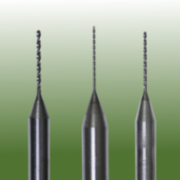 0.30mm x 5.50mm UC Series PCB Drill STX series drill bits have elongated flutes in comparison to standard UC/ST drill bits. 0.40mm x 8.50mm UC Series PCB Drill STX series drill bits have elongated flutes in comparison to standard UC/ST drill bits. 0.50mm x 8.50mm UC Series PCB Drill STX series drill bits have elongated flutes in comparison to standard UC/ST drill bits. 0.65mm x 8.50mm UC Series PCB Drill STX series drill bits have elongated flutes in comparison to standard UC/ST drill bits.